Take Me Out To The Ball Game.........NOT!!! Could You Give A Cogent and Intelligent Response On This Memorial Day? 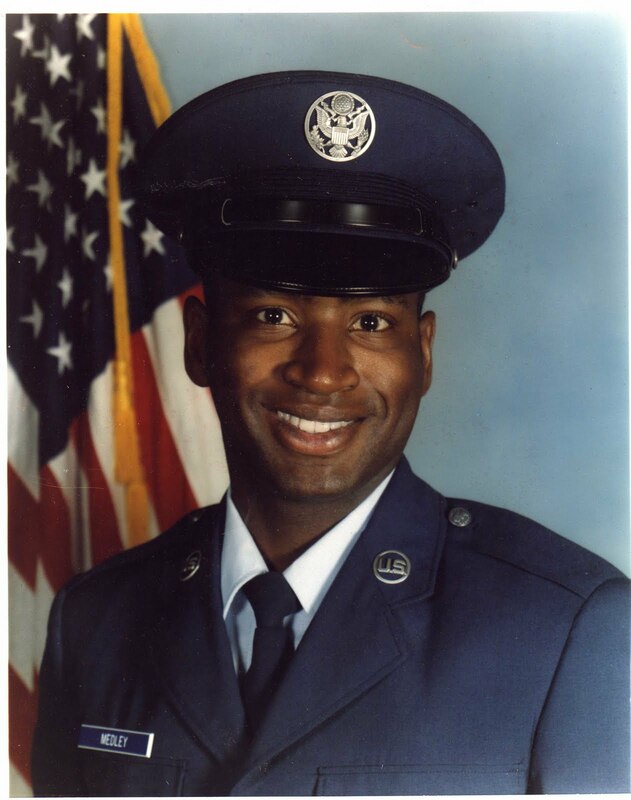 This Memorial Day I take my hat off to the soldiers who are making the ultimate sacrifice whether it be with their lives, their time, or their talents. Let's critically think about this.......if anyone asked you right now why are we in Iraq, Afghanistan and in other places, could you give him/her a cogent and intelligent response? Similar to Vietnam, could you give a cogent and intelligent answer? My guess is, a resounding no. Beyond the sound bites of what the media feeds us, (and we don't question anything, hence my blog the "Critical" thinker) could we really give an intelligent reason for these men and women being placed in harms way? Again, I think not. So this Memorial Day, having been one who served during the Gulf War (there were 10 units like mine around the country and 6 of them were already gone. I was in one of the remaining 4 and would have been there had the war been longer. I want to be clear not to "mis-speak.") I salute the men and women who serve despite not even knowing why they are where they are other than they were ordered to go. As a former airman, I salute you. Let's get these men and women home for good! I welcome your commentary in the comment section of the blog. Isn't It Amazing How Much Power "He," "She" And "They" Have? If I had a dollar for every time I asked a child why he/she did what he/she did and the first words out of his/her mouth was “He,” “She,” or “They,” I could retire happily as a millionaire. It is absolutely amazing how the word “I” almost never precedes the reason for an action being taken. The reason for this edition of The Critical Thinker is this whole notion of accountability. There are very few of us who are willing to take accountability for our actions. Working with children every day, I consistently hear the he, she, they mantra. Why did you hit her? She hit me? It’s never, “I made the decision to hit her, even though I had other choices such as to not hit back or tell an adult who could help me.” It’s always She……… He………They………. To make matters worse, the adults are not much better. In the event that I have to suspend a child from school because of some infraction and the parent is called, the first question out their mouths is “How many days did the OTHER child get?” Again, taking no responsibility for what his/her child did. How many days did the other child get? What does that matter to them? What about how many days did my child get and how can we make sure that he or she does not do that again? When we look and listen to the news, we see daily folks who do not take responsibility for their actions. According to Foxnews.com, Connecticut Attorney General Richard Blumenthal, faced with allegations that he misled voters about his military service during the Vietnam War, acknowledged that he has "misspoken" about his record but described those instances as few and far between. The New York Times reported that Blumenthal, the front-running candidate for U.S. Senate in his state, has on several occasions suggested -- and in at least one instance, flat-out claimed -- that he served in Vietnam even though he did not. "On a few occasions, I have misspoken about my service and I regret that and I take full responsibility," Blumenthal said but he described those remarks as "absolutely unintentional," and said the mistake has only happened a few times out of "hundreds" of addresses he's given. What is “misspoken?” Why did you say that? Oh I misspoke. How about I made a decision to distort my military service to make myself look better than I thought I actually looked when I described what I actually did during the Vietnam War? We will never truly become what we can become until we hold ourselves and others accountable for our actions. We cannot keep blaming "he," "she" and "they." We must look in the mirror and be willing to begin our explanations with “I.” This is not about perfection, however, it is about the ability to make a decision good or bad and stand by it. It is also about being able to connect decisions with consequences or outcomes. As long as we start our explanations with he, she and they, the connection between our decisions and our consequences will always have a short circuit. Something to critically think about and as always I welcome your commentary in the comment section of the blog. What If We All Could Be Like Delsym Cough Suppressant? A week or so ago I had a cough that just would not stop. Not one for taking medication, I tried to wait it out; however, it would not let me rest. I purchased Robitussin DM and thought that it would do the trick. Unfortunately, it did not. I went back out on my journey to find something that would stop this annoying cough and as my eyes scanned the shelves, I came across a product I had never tried before called Delsym. I figured I would give it a try, but what caught my eye and the reason for this edition of The Critical Thinker was a disclaimer on the box that read in bold letters “Contains No Fever Reducer or Pain Reliever.” It also said it was “12 Hour Cough Relief.” I decided to give Delsym a try. While this is not an endorsement or an advertisement for Delsym, it is an endorsement for a product doing what it was designed to do. I say that because the disclaimer clearly lets the user know that the product was not designed to be a fever reducer or a pain reliever. It was designed to be a cough suppressant and a cough suppressant only. Lo and behold, the product performed wonderfully. It did what it was designed to do and that was to suppress my cough. It even suppressed it for the time frame outlined on the box. So I am sure by now you are asking the question what does this have to do with anything? My answer to that is and our topic to critically think about is, what if we all did what we were designed to do? 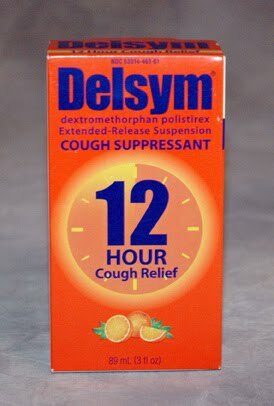 What if each one of us were like the Delsym cough suppressant and did what God designed us to do? Each of us have differing talents and gifts that we were designed to use. Some of us have multiple gifts and talents while others may only have one; either way usually the assignments of gifts and talents are given to support whatever it is you were designed to do on earth. Unfortunately, too many of us try to do what we were not designed to do causing a lot of frustration on everyone’s part. So when I saw the disclaimer that said “Contains No Fever Reducer or Pain Reliever,” it occurred to me that we ought to be so fortunate as to be like Delsym and effectively do what we are designed to do. We need to be clear with ourselves like Delsym what we will not do and cannot do and focus on the areas where we are gifted and talented. 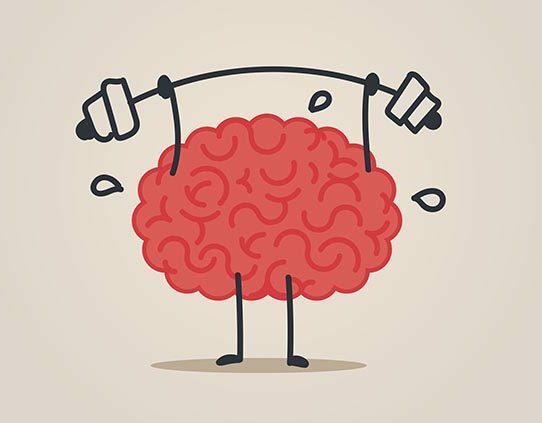 The good news is, all of us are gifted and talented in something. It may not be the same areas, however, we are all gifted and talented at something. So I end as I began with the question, what if we could all be like Delsym? Something to critically think about. As always, I welcome your comments. As I was traveling north on the Garden State Parkway yesterday, I was listening to songs I had downloaded to my IPOD. 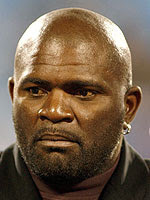 I had the IPOD set to shuffle and Teddy Pendegrass' rendition of Wake Up Everybody came on. I listened to Teddy masterfully and soulfully belt out the words to the song and it came to my mind that even though Wake Up Everybody was written in the mid-seventies by Victor Carstarphen, Gene Mcfadden, and John Whitehead, it's as if these lyrics were written in 2010. The words hold true to this very minute. After reading the lyrics below, I am sure you will agree. Wake Up Everybody!!!! The world won't get no better we gotta change it yeah, just you and me. So won'tcha make them happy before they pass away. Are We Ever Going To Connect Decisions With Consequences? When are we going to connect decisions with consequences? Yes, the young man deserved to be tazed. He had no business on that field and he knew it. I ask the question again. Are we ever going to connect decisions with consequences? It is evident that "LT" has taken too many shots to the head. Yes, if found guilty he deserves every bit of jail time that comes along with the crime. Hall of Fame Star/ 16 year old run away. Top golfer in the world/pancake house waitress. Married to Sandra Bullock/ tattooed pole dancer. C'mon guys!!! Not to sound redundant, but, are we ever going to connect decisions with consequences? Maybe some of you who are readers of The Critical Thinker can help me out. I truly welcome your thoughts. Let's start out by saying I am not mad at or even jealous of Ryan Howard or Albert Pujols for the salaries they are able to command because of the system. While their skills are unsurpassed, it is the system that allows them to command those kind of salaries. Who this critical thinker tends to become annoyed with (because it flies in the face of logic, and this is the "critical thinker.") are the fans. You will always get some yokel who is making an average or little less than average salary who goes bananas when the players go on strike or there is a halt to the season for some reason or another. These people will actually take off time from work to stand in front of a stadium with a picket sign urging the owners to settle the wage disagreements so that they can shell out hundreds of dollars per game( parking, snacks, ticket costs, gas, etc.) to see these gifted ball players play a child's game. As Warner Wolfe is famous for saying, "Let's go to the replay," let's go to the chart or let's look at the numbers. 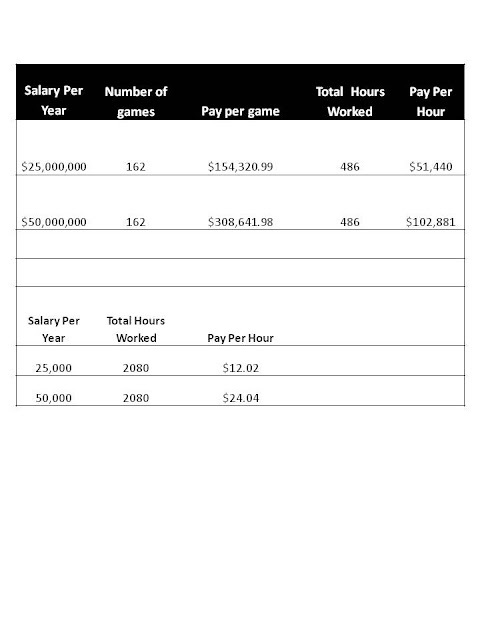 Let's compare the average salary with the salaries of a Ryan Howard who just extended his contract with the Philadelphia Phillies for 125 million dollars over the next 5 years. That's 25 million dollars per year. With his signing came talks of Albert Pujols of the St. Louis Cardinals now being positioned to ask for 50 million dollars per year. When you look at the chart does our actions as fans make sense to you? Analyze the chart below and critically think about it. I welcome your commentary.